My neighbor Joseph would decorate Dramtically for every holiday. 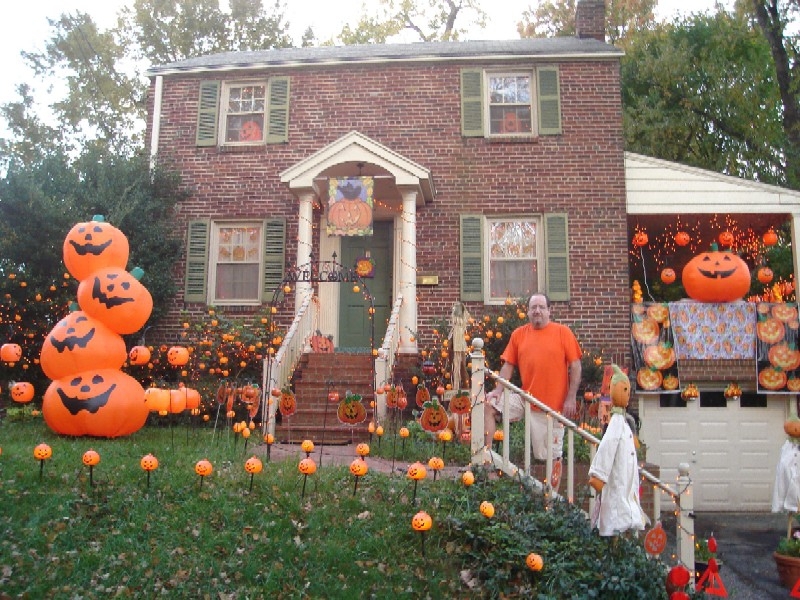 His Decorating of the House was Legend in the Neighborhood for many years. 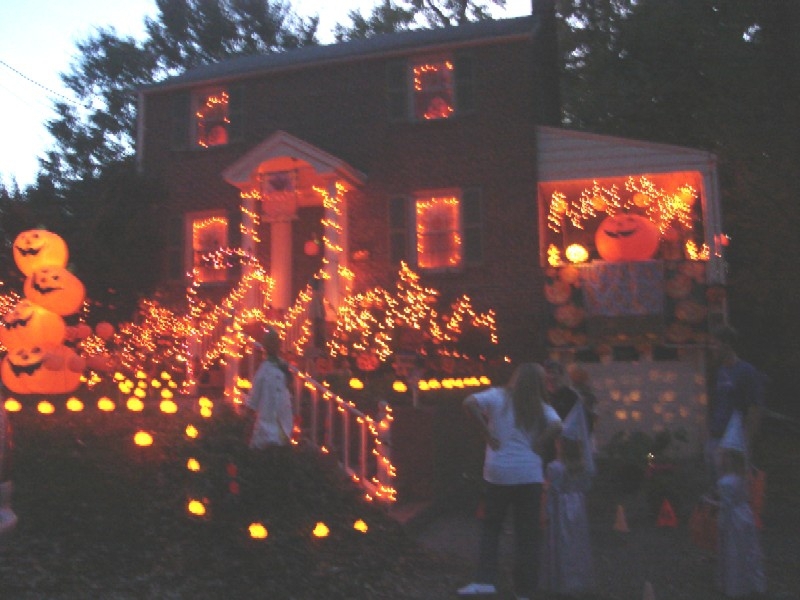 Kids and adults alike were mesmerized every Halloween and at Christmas Time. The kids in the area would all flock to his house for Trick or Treaters, even from other neighborhoods that were further away or in another county. Word always got around. I always wondered how much candy he had to have to survive Halloween. It’s been quite a few years now that Joseph has moved away, there are new owners of the house now. The new owners have a much more “simple” idea and style of decorating, maybe a few mums and a pumpkin on the front porch. I took pictures of the Halloween, the 4th of July and Xmas jobs Joseph has done through the years. Sadly, I can not find any pictures of his Christmas displays. This is too bad, because the Xmas display was always the most extravagant, each year was different and each year there were more and more lights and features to that display. I hope some other neighborhood is now enjoying the holidays as much as the people in this Silver Spring Neighborhood did while Joseph lived here! This entry was posted on Tuesday, October 16th, 2012 at 10:05 am	and is filed under Old Vintage Houses Silver Soring & Takoma Park. You can follow any responses to this entry through the RSS 2.0 feed. You can leave a response, or trackback from your own site.